This scholarship fund is to be held until needed for children of Johnson County fallen First Responders wishing to attend college. The goal is to collect enough funds to fully pay for any college related expense for any child who has lost a parent in the line of duty in our coverage area. 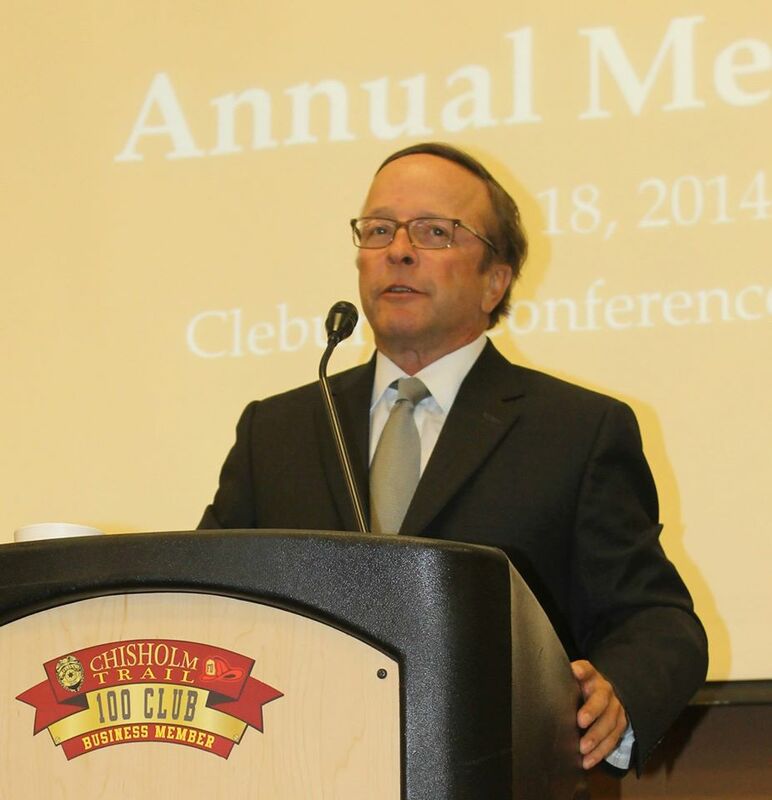 At the 2014 Annual Meeting of members, Chisholm Trail 100 Club hosted speaker John Calandro III, a financial planner from Merrill Lynch Dallas and also a beneficiary of the 100 of Detroit. Calandro lost his father, a police officer, in the line of duty when he was only five years old. In his speech he described the difficulties his young family faced after his father's death, and also explained how much of a difference the 100 Club of Detroit made in his family's life. The 100 Club of Detroit made it possible for all 3 children in his family to attend college, thereby creating a better future for all of them. Mr. Calandro then stated that the Chisholm Trail 100 Club is still so young it didn't have this type of scholarship fund. He challenged the CT100 Club to start this fund, even vowing to match the first $5,000 raised that day, as well as matching the next $5,000 raised within the next month. We are proud to say that we nearly met both goals as in one day, thanks to the generosity of those members in attendance.